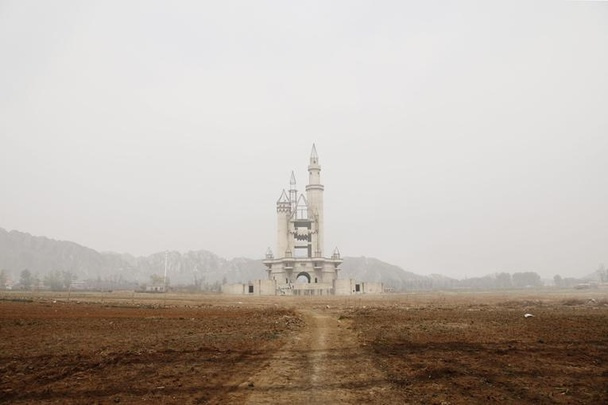 In recent years, the internet has been plagued by images from creepy abandoned amusement parks in Japan and China. It makes sense as the abandoned parks are good ground for aspiring photographers wanting to make a creepy name for themselves. There’s just something so weird about abandoned amusement parks, with their rusting metal and chipping paint. Maybe because they were once whimsical places for children to have a great time. And now they look like the ideal creepypasta setting. Here are my top 10 most haunting abandoned amusement parks. Some of which are available to purchase, just in case you’re looking to get into the industry. The Wonderland Amusement Park is different than most abandoned amusement parks as it was abandoned even before it’s construction was completed! It was built (mostly built) 20 miles from Beijing to be Asia’s largest amusement park. This was in the 1990s, when Asian economies were first starting to take off. But there was a big financial crash in 1998. This, combined with local complications, resulted in the half-built amusement park being completely abandoned. There were several building left standing, including a large castle. As these structures remained, there were a number of following attempts to save and complete the amusement park. All have failed. 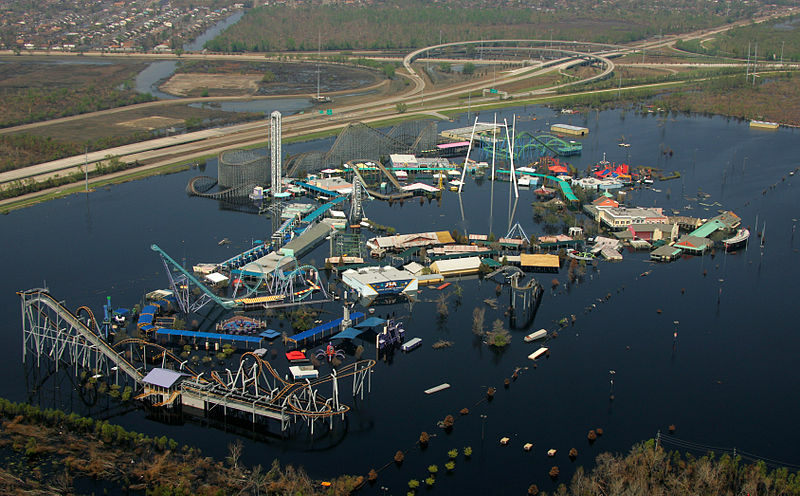 Six Flags New Orleans was abandoned just as hurricane katrina was about to smash into it. 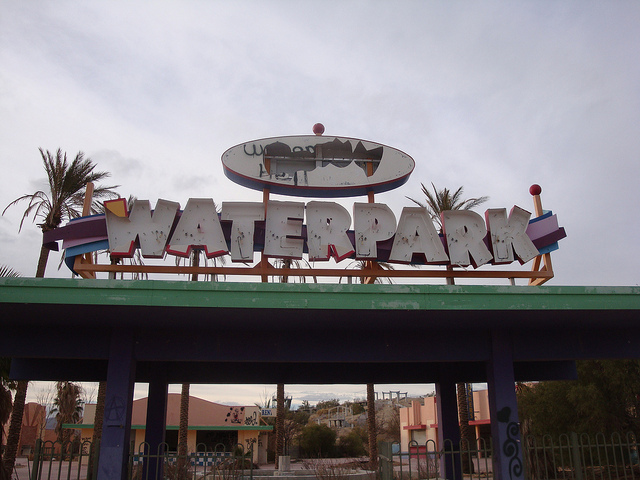 The amusement park was completely flooded by the hurricane and no real attempt was made to reclaim the park. This is partly due to the massive damage done by the water, which would have cost a lot more money to repair than the site is even worth. Six flags soon announced the park was a total loss that they wanted an exit of the 75 year lease of the land they had . This led to an extensive legal battle with local officials. Today, the park is still there. It’s no longer flooded and is just rusting away. Land of Oz operated from 1970 to 1980. It was obviously based on the wizard of oz. In this park, oridinary people could experience the magical land of oz. That all sounds good and well, but the emerald city was destroyed in a 1975 fire. This harmed the commersial exposure of the land of Oz and it was in decline from there. With ever declining visitors, it joined the abandoned amusement parks graveyard in 1980. After being abandoned, the park was heaviy vandalised by those godless misinformed youths! These days it’s only ever really visited by urban explorers. Makes sense. Who else would go there? Holy Land USA was always going to fail. An amusement park based on bible verses is difficult to maintain. For a while during the 1960s and 70s, forty thousand people came to see it. The whole park was littred with massive crosses and weird historic catacombs. The park closed down after it’s owner died in 1986. After this, the park was pretty much left as is and forgotten about. It was only remembered when a 16 year old girl was raped and murdered in the park in 2010. There is currently a project to revive the amusement park for some reason. But with the place all overgrown I think it’s going to take a long time. Lake Dolores Waterpark was obviously a waterpark that is now left abandoned. 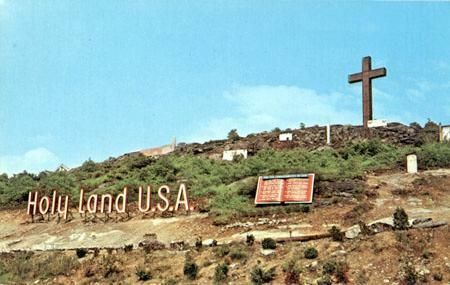 It was open from 1962 to 2004, and was pretty popular during the 1970s. But the park took to decline towards the late 1980s and it was doomed from there. So it closed down in 2004 and hasn’t been used since. It was just left to decay. That is, apart from the parts that were salvaged for scrap metal. Today, it’s just a destination for urban explorers. It’s also used as a filming location for commercials and music videos due to it’s classic doomsday-like look. 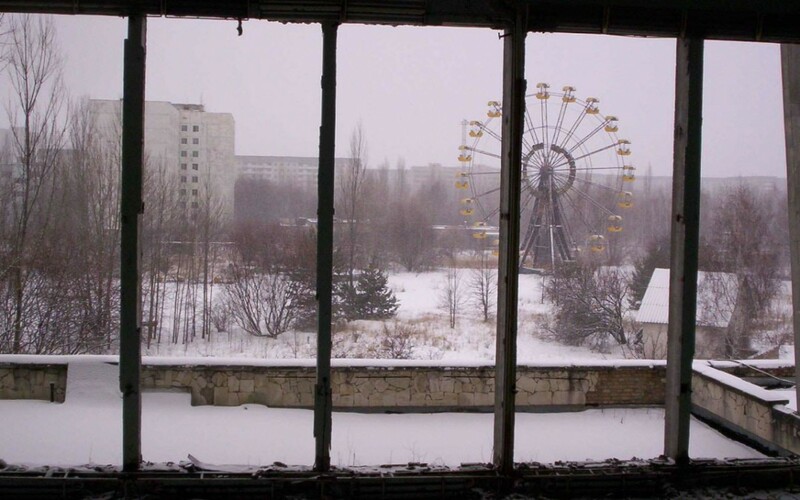 Pripyat is the Ukrainian city abandoned as a result of the Chernobyl meltdown. So anything within the city was left behind, including it’s amusement park. 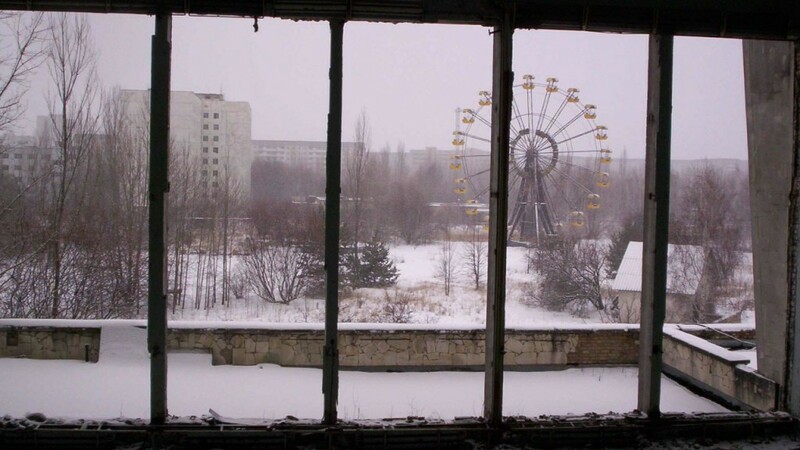 The Pripyat amusement park hadn’t yet opened to the public, although it was completed. The meltdown happened shortly before the park’s opening date. Chilling images of the park are well recognized on the internet. The ferris wheel is probably the most chilling – glimpse into what a real post-apocalyptic world would be like. The bumber cars are also recognizable. It truly is among the most haunting abandoned amusement parks. It doesn’t help that the park is still host to radiation levels, making urban exploration less common here. Joyland is possibly America’s most iconic abandoned amusement park. Opening in 1949, it was well known in it’s home state if Kansas. It was always a weird place, featuring a roller coaster made from wood. It was popular right through the second half of the 20th century. But not so much in the 21st. In 2004, the ferris wheel glitched and a 13 year old fell from it to the ground. This hurt the park’s reputation and attendence fell swiftly. It closed down permanently just 2 years later. Sections of the park are now currently being slowly dismantled and sold for scrap metal. 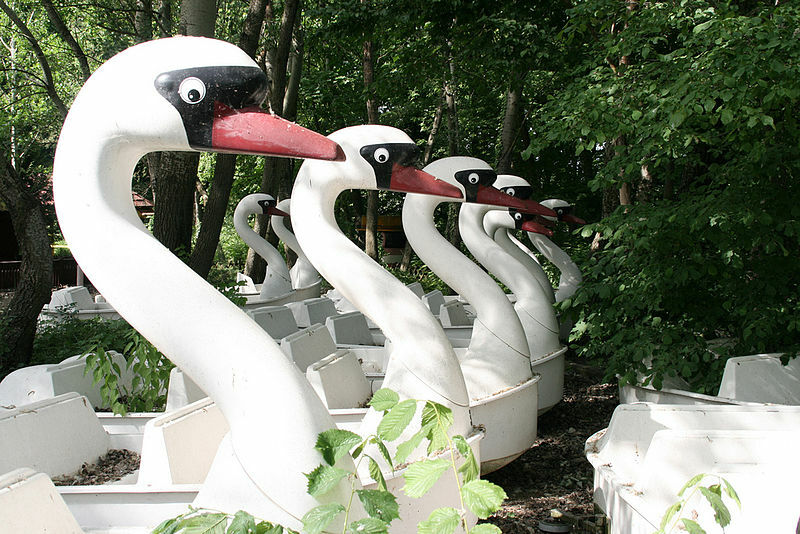 Spreepark was originally built by the Soviets in East Berlin. For some reason the communists really loved building amusement parks just to abandon them later. The park wasn’t much more than just one big ferris wheel in it’s centre. So it was never a popular attraction, stacking up massive debts. By the year 2000, only about 400 thousand people had ever visited the park. With not enough visitors to pay off their enormous debt, the park was obviously heading for failure. It finally closed down in 2002, and hasn’t reopened since. It’s hard to tell what the park is like today as not many urban explorers visit. It’s thought of as rather boring. With the best name out of all the abandoned amusement parks, Nara Dreamland was built as Japan’s answer to Disneyland. There really isn’t much to say about Nara Dreamland – it just didn’t recieve many visitors as it was considered cheap and dull. They didn’t even have a giant mouse! So people didn’t visit much and it was forced to close back in 2006. It might be the most popular destination on this list for urban explorers. In Japan they’re known as haikyoists, just in case you were interested. Takakanonuma Greenland HAS to be the most haunting abandoned amusement park on earth. Just look at any photograph taken from the park and your immediate thought will be something like “Oh… that’s bloody creepy”. It was first opened in 1973 and first closed in 1975. This is largely due to the deaths of several people at the park. This in turn gave rise to rumors that the park was haunted. So it was abandoned for a while until being reopened in 1986 and then closed again in 1999. The most creepy thing is the legend surrounding it. They say that anyone wanting to visit the park should be careful. If you take any photographs, a young girl will appear in the photo when it develops. Even when the park is devoid of children.